The Golden Camera trophy now also awarded to the Best Photographer of every Country. From front cover to back, photographer Valerie Jardin’s new photo book is a winner! If you’ve ever been curious about giving ‘Street Photography’ a try or just wanted a great book of urban candid lifestyle photos, look no further, I have the book for you. 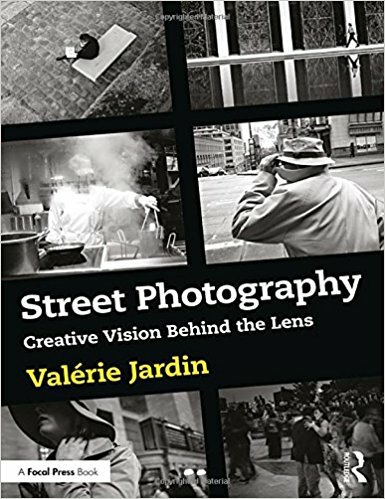 “Street Photography: Creative Vision Behind The Lens” by Valerie Jardin was recently released and is for sale available on Amazon, Barnes and Nobel and all well-stocked bricks and mortar book stores. I first read of photographer Valerie Jardin several years ago when it was mentioned either by her or the author, that she had sold her DSLRs, gave up her commercial photography business and decided to explore her new passion of ‘Street photography.’ She pared down her heavy, conspicuous DSLR’s down to a Fuji rangefinder camera and invested in a pair of good walking shoes. Having a lot of enthusiasm for photographing people in natural unposed settings going about their day, she started gaining a large following for her work which later led to teaching and writing books. She sells her e-books on her website, but not this print book. “Street Photography” is her first print book and it’s set to be the bible of the street photography genre. Every page tells a story that you can almost place yourself in as you stealthy roam fabulous cities and see what others might not in going about their day. She takes you thru all the steps and form building confidence to location suggestions and camera options and fills in a lot of blanks which other books I've read in the past have lacked. I think it could serve more than just the street photography enthusiast. This is one of those books that will remain a book shelf favorite to let your mind wander thru the pages spurning your own creativity for whatever flavor your soul leads you to photograph. Published by Routledge, a company known for high quality paper and reproduction in their books, the photos are of generous size and the type is perfect and readable. Valerie has used just about all flavors of Fuji cameras and this line is known for producing amazing people photos and rich black and white’s you’d struggle to get looking this good by digital conversion in post processing software. I especially enjoyed the chapter, “Stories in a Single Frame.” So many photographers, new and seasoned pro’s need to learn this. I licensed my own work to publications for decades and we had to sum up an event in one photo. Many photographers often go thru a spell of shooting way too much and failing to get the one shot that ‘sums it up’ and tells the story. It takes practice and this book is a great place to start. Women rarely get the credit they deserve, especially in the arts. I am hoping Valerie Jardin’s book can start to turn the tide on this and show that women are as visually gifted as the best male street photographers. Chicago Artists Coalition >> #ILGive on #GivingTuesday to CAC for a Bigger Impact! Save the Date 11/28: DONATE to CAC on #GivingTuesday, and Make a Bigger Impact for Chicago Artists! Help us meet our full matching grant with a gift on #GivingTuesday! The Chicago Artists Coalition (CAC) is committed to building a diverse community of artistic leaders who define the place of art and artists in our city's culture and economy. We serve artists who are willing to take risks, experiment, and make art that speaks to the issues and questions of our time. Each year, we ask for your support so we can continue to assist ambitious and innovative thinkers who are critical to the vitality of Chicago, its institutions, and its neighborhoods. Thank you being part of our community all year, and we hope you'll make a donation to CAC next Tuesday. Every dollar makes a difference in our ability to champion emerging artists and support contemporary art and creative production in Chicago. So mark your calendar for 11/28 and increase your impact by donating to CAC on #GivingTuesday! Chicago Resident Invents New Appliance to Revolutionize Taco Tuesday! We’ve all been there. Tuesday finally rolls around and you have the margaritas mixed – it’s time for the tortillas. Tired of flipping tortillas at the stove or comal? Join the Nuni revolution and never flip tortillas again! Be a taco hero with an innovative product that heats up six tortillas at once so hungry mouths don’t have to wait for the one -at-a-time pan method. Say goodbye to soggy tortillas from the microwave and warm up an authentic feast any day of the week with Nuni! According to the Tortilla Industry Association, tortillas have been outselling white bread since 2010 and this market continues to expand exponentially. Necessity is the mother of invention and Nuni is the market innovator for tortilla warming! It is almost 2018 and cars can actually drive themselves so we definitely do not need to be heating tortillas one at a time the old-fashioned way! Catching up with his mother over a home cooked meal, founder Elliot Benitez noticed a trend occurring at the dining table. His mother was repeatedly leaving the table and missing conversation in order to keep up with their demand for hot tortillas during family meals. Realizing that this was how his mother had been warming tortillas at home since he was a young boy, Benitez set out to invent a product that would make taco night even easier – Nuni! 6-Slot Capacity: Place 1 to 6 of your favorite corn, flour or even wheat tortillas into the unit. Choose desired shade setting from light to dark. Lift Handle To Start: Automatic shut-off deactivates the unit after each toasting cycle. Rotate To Release: Once the toasting cycle is complete simply rotate the tortillas from the unit. 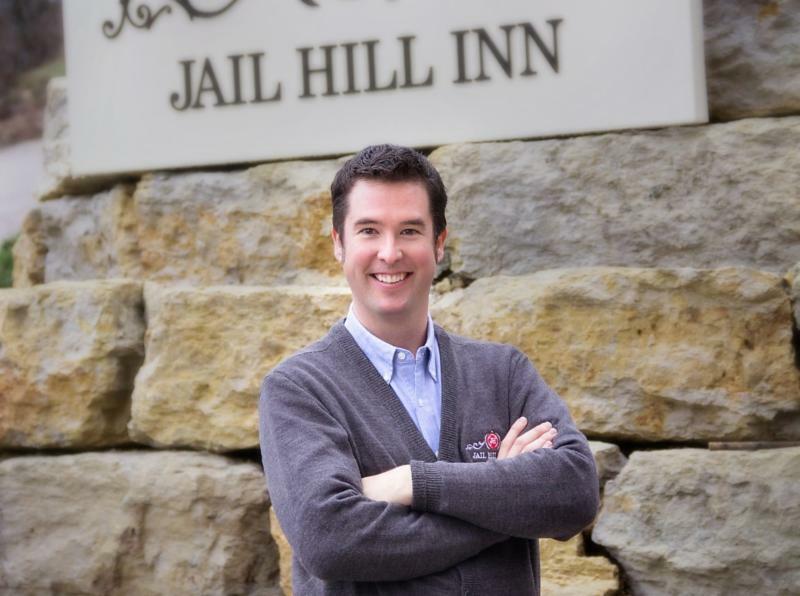 "I am pleased to be a member of this important state organization focused on preservation on many levels, and they oversee the annual Richard H. Driehaus Foundation Preservation Awards, which Jail Hill Inn received in 2016. Great people, doing great things!" Join Matthew and thousands of other Illinois residents by becoming a member of Landmarks Illinois for this year's #GivingTuesday on November 28, 2017. Can't wait until November 28? Join today! You can also learn more about our members and why they chose to support Landmarks Illinois on our website. Support the important work of Landmarks Illinois by becoming a member or renewing your membership. Please join us by clicking the button above. STAR TREK ITEMS TO BE AUCTIONED! The full collection of 400 props and costumes from the making of both Star Trek (2009) and Star Trek Into Darkness (2013) will be sold at auction by Prop Store, one of the world’s leading film and television memorabilia companies, in association with Paramount Pictures. The auction will be held at Prop Store’s facility in Valencia, LA County, USA. Bidders can also participate via telephone or online. The auction is a no-reserve sale meaning all final bidding prices are determined solely by bidding activity. Sets of Three Enterprise Uniforms and a Pair of Klingon Guard Uniforms will go to the highest bidder in the December 2nd Auction. These lots, originals used in Star Trek (2009) and Star Trek Into Darkness, are expected to fetch an estimated $2,500-$3,500 and $3,000-$5,000, respectively. Captain Kirk’s Enterprise Captain’s Command Uniform and Mr. Spock’s Enterprise Sciences Uniform are expected to be some of the highest selling, with a sale price of $5,000-$10,000 and $8,000-$12,000 respectively. Each costume is complete with a Starfleet insignia badge, and Mr. Spock’s costume also includes a Starfleet phaser, communicator and belt. Also included in the auction are other key character costumes including Lt. Uhura, Dr. ‘Bones’ McCoy, Lt. Commander Scotty and Lt. Sulu, as well as fan-favorite props such as Starfleet phasers and tricorders. All items sold include a Prop Store Certificate of Authenticity. A lavish printed catalog is also available for purchase. A selection of key content from the auction will be on display in an auction preview exhibition at Prop Store’s offices from Monday 27th November to Friday 1st December. Star Trek is the 2009 reboot of the beloved science-fiction franchise that recast the main characters of the original Star Trek television series. The film was critically acclaimed and grossed over $385 million in worldwide box office; it was also the first Star Trek film to win an Academy Award, for Best Makeup. The follow-up film, Star Trek Into Darkness, grossed over $467 million worldwide and is the highest-grossing Star Trek film to date. The widely popular On the Couch series by Alma Bond, Ph.D. has given us an opportunity to discover the lives of Marilyn Monroe, Hillary Clinton, and Jackie O through the eyes of renowned New York psychoanalyst, Dr. Darcy Dale. The fictionalized biographies provided a unique and revealing perspective of their lives. Now, readers are invited to learn about screen and recording icon Barbra Streisand. In Barbra Streisand: On the Couch, Bond captures the details found in other biographies dedicated to the life of Barbra in a way that provides deep insight into her personality and character. Dr. Darcy Dale―renowned, pioneering New York City psychiatrist whose expertise has been sought by such larger-than-life women as Jacqueline Onassis Kennedy, Marilyn Monroe, and Hillary Clinton―is confronted by Barbra, dismayed after thirty years of minimally successful therapy. Over the course of a year, Dr. Dale conducts an intimate psychoanalysis, breaking through ego defense mechanisms, and repressions to go deep into the heart and mind of one of America's last remaining superstars. Barbra's many dimensions come alive as we hear her story in her own words. She fluctuates between self-inflation and insecurity. She cracks wise. She becomes angry. She weeps. For better or worse, Dr. Dale sees Barbra in all of her raw, most human, aspects, giving readers unprecedented access to her pain and joy. Barbra is funny, a bit abrasive, but very intelligent. Bond provides interesting insights into what Barbra could have been thinking during pinnacle times in her life, and her state of mind from a psychoanalyst's point of view. While this book is technically fiction, the facts themselves are all true. Only the thoughts and feelings attributed to Barbra are fictitious, along with the story of her "analysis." Dr. Bond's extensive research into the life of Barbra Streisand, along with her professional knowledge of psychology and her beautiful style of writing, give fans of Barbra's work and her persona fresh insight into a complicated woman - making this biography an enthralling and entertaining read! Alma H. Bond received her Ph.D. from Columbia University, and became a highly successful psychoanalyst in private practice for 37 years in New York City. She "retired" to become a full-time writer. She has written 23 books and her popular On the Couch series has received excellent reviews. Jackie O: On the Couch, the first in the Couch series, received a Pinnacle Book Achievement Award. Bond also wrote the play, "Maria,” about the life of Maria Callas. The play was produced off-off Broadway, toured the South, and was produced in London. 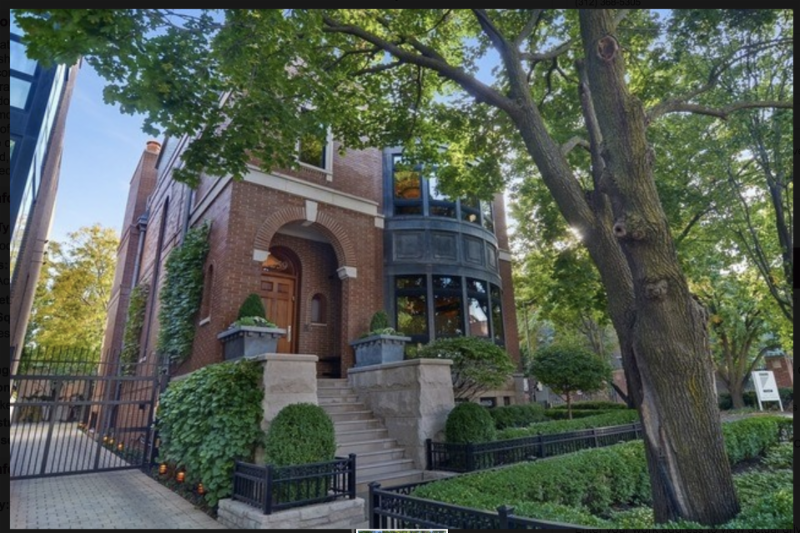 We would like to announce the opportunity for purchase of a majestic 7600 square foot home nestled in an exquisite neighborhood in Lincoln Park, minutes from downtown Chicago and Lake Michigan. Our collectors are some of the most discerning in the world. 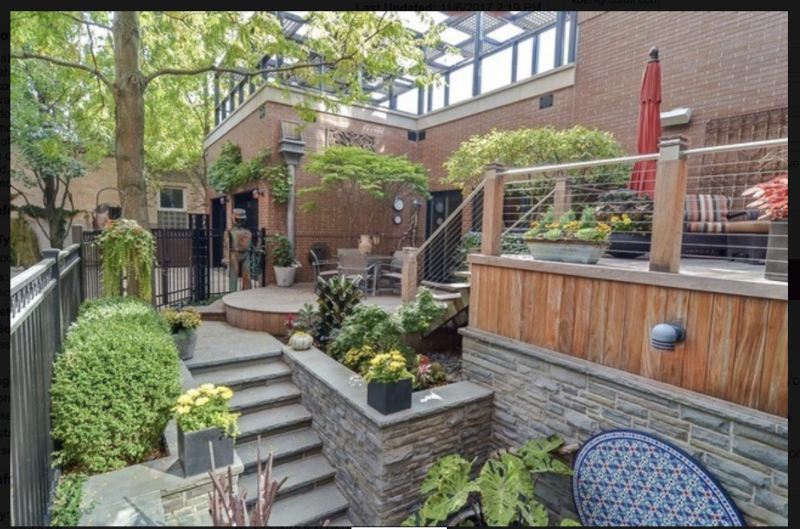 This home is sanctuary not only to hundreds of works of art but to a couple who have lovingly nurtured and maintained this peaceful and meditative space. 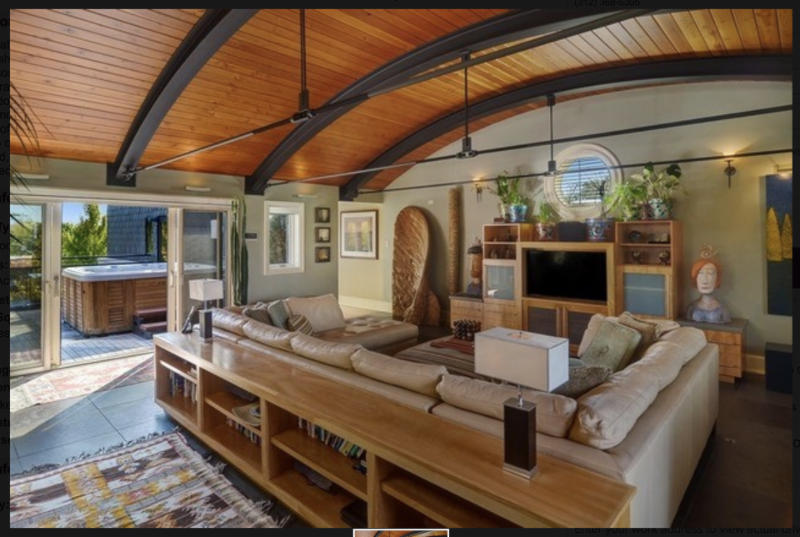 It is rare to find a home that is a work of art in itself, a place of refuge and harmony. 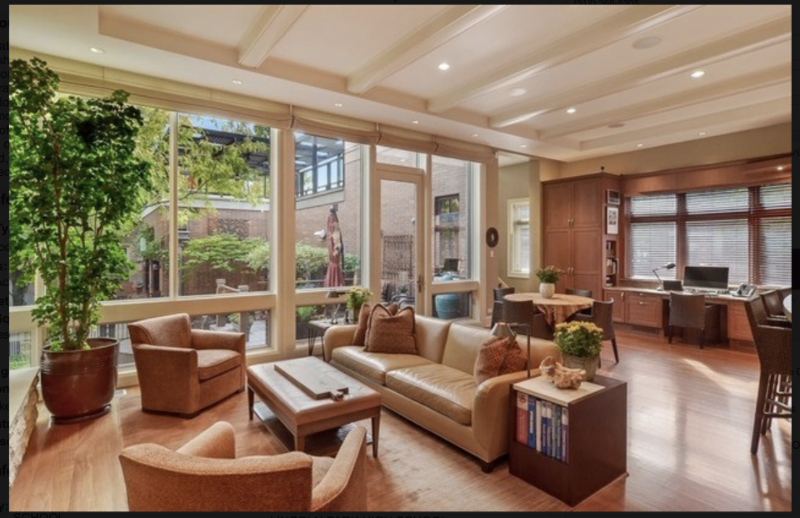 This is a work of art built w/few constraints or inhibitions, liberally taking advantage of grand spaces, the finest imported materials & the unbridled ingenuity of its designers.Every inch is imagined, designed & constructed w/care, passion & forethought. I recall the first time I entered through the doors. It was as if the time/space continuum stood still. The art enveloped the space and gave the rooms a special air to breathe. For those looking for a safe haven from the distractions of everyday life, please contact our collector directly. Details are below. 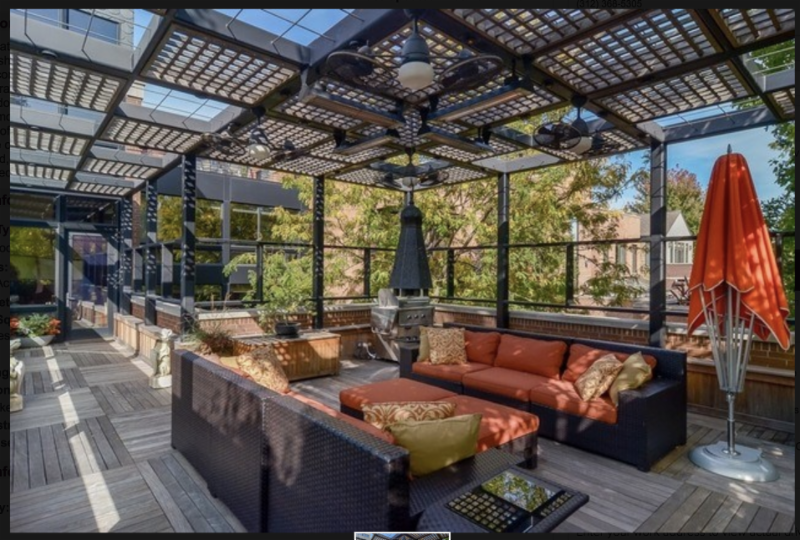 * 5 bedrooms and 4 baths/2 half baths. 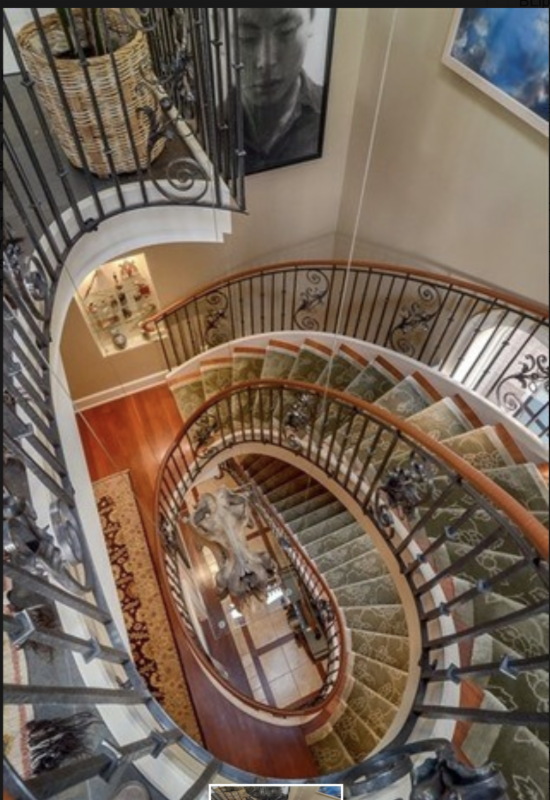 * extravagant indoor & outdoor entertaining spaces, and an array of stunning finishes. 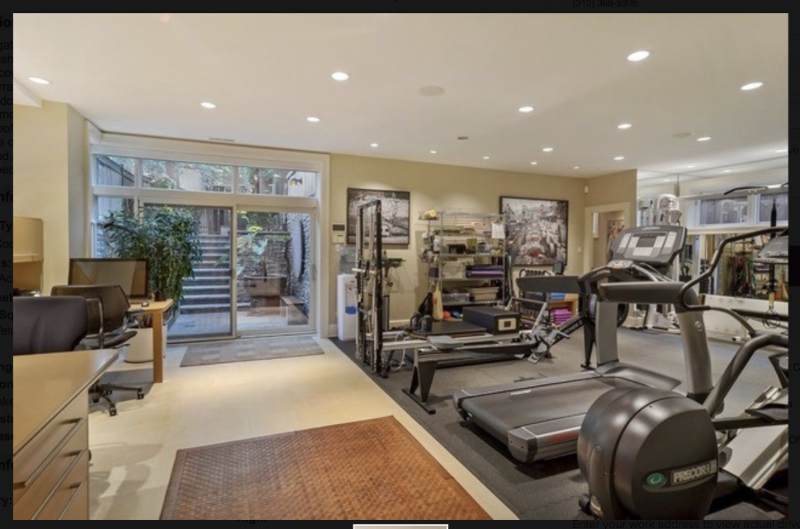 Sellers building in Aspen to move soon and eager to find a new loving caretaker of this fine property. If buyer comes without a broker, seller will pass along the brokerage fee savings.